The school traces its roots to 1799 when the Benevolent Society of the City and County of Baltimore, founded by a group of parishioners from Old St. Paul's Church, established an institution for the care and education of indigent or orphaned girls. During the 1800s and 1900s, the school closed and reopened several times with different names and in different locations. 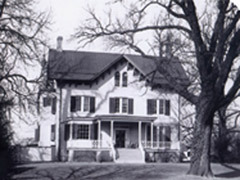 In 1958, members of the Benevolent Society voted to establish a new college-preparatory school, which opened officially in 1959 and has grown steadily over the years. Today, St. Paul's School for Girls is one of the premier independent schools for girls in the Baltimore area.